As you may have noticed, the term mindfulness is appearing everywhere. And though many of us are familiar with the practice and teachings of mindfulness, few of us have read the original Pali text Discourse on the Four Foundations of Mindfulness. 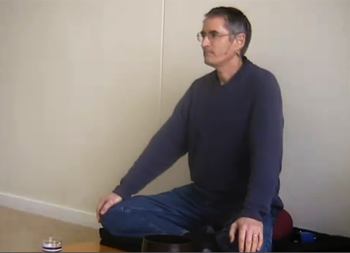 We rely on teachers like Gil Fronsdal to bring the Buddha�s teachings into our own vernacular. I had the opportunity to ask Gil a few questions about the practice of mindfulness and found his responses made new again a topic so near and dear. Gil will lead the workshop The Inner Structure of Mindfulness Practice at City Center on Friday, April 26. Sachico: Why is developing an awareness of breath, body, feelings, and mind good for us? Gil: We can’t care for or take responsibility for what we don’t know. Breathing, feelings, and our mental life are key to our well-being and spiritual freedom. By developing mindfulness of them, they become the path of freedom. Sachico: What transformations can mindfulness bring to our everyday lives? Gil: Two transformations might be most significant to mention. First, greater self awareness leads to better choices in what we say, do, and think about. Second, mindfulness develops our capacity to be present to our lives with greater calm, non-reactivity, and equanimity. Both these transformations are important for living our lives with greater spiritual freedom. Sachico: Could you talk about some of the obstacles that people grapple with when practicing the Four Foundations of Mindfulness�including obstacles that originate in misguided thought concepts. Gil: Because mindfulness practice involves being present for our immediate lived experience, probably the biggest obstacle is the mental preoccupation and agitation that makes it hard to be present. People new to mindfulness often begin by training their mind to stay focused and present. Probably the biggest conception challenge is the belief that the way to happiness, safety, and meaning is found in the world of thoughts. While thoughts are an important part of life, thinking�even if it is about the present moment�interferes with seeing clearly. Sachico: Many of us consider lack of time to be a challenge to practicing mindfulness. Is there a way to get past this challenge? Gil: Mindfulness can be practiced both in meditation or in our daily life. If someone doesn’t have time for formal meditation practice, they can get lots of benefit from being mindful throughout the day. Because this is done during one’s activities, it doesn’t take any time away from our activities. Because meditation can be useful, it can be meaningful to find time to meditate. Sometimes it is useful to give oneself a month to run the experiment of meditating every day. If one’s life goes easier, then perhaps the benefits of taking time to meditate become obvious. It is not uncommon for meditative calm, focus, and heightened awareness to make us more efficient in our daily tasks. The time meditating is amply returned. Sachico: Can you provide an example of how you experience the Four Foundations of Mindfulness in your day-to-day routine of living? Gil: When I speak to others I try to keep 50% of my mindfulness on my own lived experience. By knowing what is happening in my body, feelings, and mind I can stay more balanced and less caught by my thoughts and emotions. I find that this mindfulness makes me a much better listener than if I was mostly focused on listening to others speak. I remain more aware when I start getting caught or attached to something. 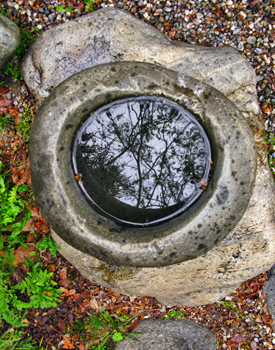 Sachico: What do you hope to give to the participants of your one-day workshop at San Francisco Zen Center, The Inner Structure of Mindfulness Practice? Gil: I hope participants will get a greater appreciation for the sophisticated approach with which the Buddha taught mindfulness practice. Mindfulness practice entails more than simply being mindful. It involves a journey which, step by step, leads inward to a wonderful possibility of a free and peaceful heart. Sachico: Is there anything additional that you feel is important to say to our readers about your workshop? Gil: Mindfulness has become quite popular. With its popularity, the practice has often been radically simplified from how it was taught by the Buddha. The workshop will present how the Buddha taught the Four Foundations of Mindfulness, including the structure or process of inner development which these four entail. We will have the opportunity to practice with Gil Fronsdal at City Center on Friday, April 26, when he will lead The Inner Structure of Mindfulness Practice.�We hope you can join us.